Yesterday, I decided it was the perfect time to make a fairly big change. With naturally brown hair that I’ve been dying since the age of… about 13, it’s no surprise that I get bored easily. Hence the latest update – refreshing my strawberry blonde hair and you guessed it, gaining bright orange hair! To do so, my hairdresser lifted my dark roots to match the blondish colour at the tips of my hair – leaving a very good all-over base to throw a vibrant colour on! 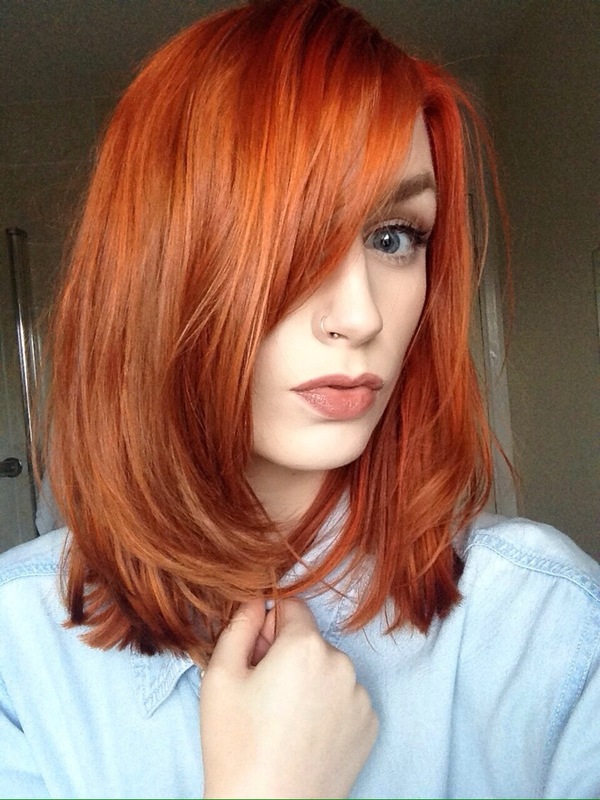 Then, she used the Pravana Chromasilk VIVIDS ‘Orange’ shade all across my head – a huge shock when I was sat in the hot-seat for 20 minutes with hair that looked as if it was on fire! It’s fair to say that the new-do has received a lot of positive comments (thank you all!) and will be staying for a little while now! For more posts like this, please follow my blog and leave any comments in the space below. I love this colour, it really suits you! This color looks absolutely gorgeous on you!